This book is a modest attempt to look at and examine the beginnings of ecological concerns in the Buddhist religious traditions, based on a meticulous examination of diverse narratives pointing towards a correlation between Buddhism and environmental issues. 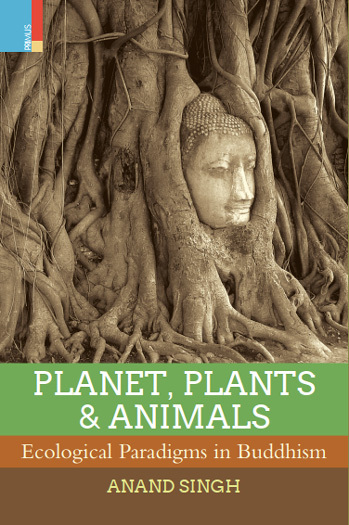 By examining the seminal teachings of the Buddha through the concepts of Paticcasamuppada, Kamma (Karmat), the eightfold path, ahimsa, Pancasila and in literature, like the Jatakas, Therigatha and Theragatha in relation to animals, population dynamics, yajnas and animal sacrifices as well as flora and fauna associated with the Buddha, this book attempts to discover the inescapable connection between the individual's well-being and Nature. The Author Anand Singh is Professor in the School of Buddhist Studies, Philosophy and Comparative Religions, Nalanda University. He has authored Buddhism at Sarnath (2014), Tourism in Ancient India (2005) and Pracheen Bhartiya Dharma (2010) and edited Dana: Reciprocity and Patronage in Buddhism (2017) which has received the 'Outstanding Academic Book on Buddhism' award by the Dhammachai International Research Institute, New Zealand. Recipient of the Dr. I.G. Khan Memorial Prize, by the Indian History Congress in 2008 and 2010, Anand has published 25 research papers and articles in international and national journals.